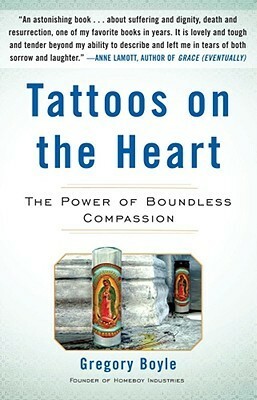 The other thing I enjoy Father Boyle’s work for is to hear how he takes the thoughts and work of others to meditate on. In this book he quotes the poet Mary Oliver many times, Rumi, Mother Teresa, Pema Chödrön, among others. There is always something interesting in what those leaders of thought say, and also in how Father Boyle chooses to apply their lessons to his daily life and ministry. Since then I just try to pay attention. When goodness appears in our daily life, what happens? When evil appears, what happens? How to deal with evil? How to consider the bad things people do? How to love the people who do these bad things? Father Boyle gives us his answers to these questions. He’s interesting, and he seems to be able to transform bad attitudes into good ones. You can put that at the beginning of a tale or at the end. It says it all. This book was written some years ago and I am reviewing it in 2017, when I discovered it. It turns out Sarah Silverman interviewed Father Greg Boyle in Nov 2017 shortly after his second book, Barking to the Choir was published. Her questions ask this important religious leader how we are supposed to deal with someone who does wrong, but on a spectacularly large scale...not a homeboy, but a Trump? Father Boyle has been ill some time, suffering from leukemia, so all of us who know of his work are eager to hear how he would respond. Sarah Silverman's interview with Father Boyle comes at the end of her piece (start 15:33).